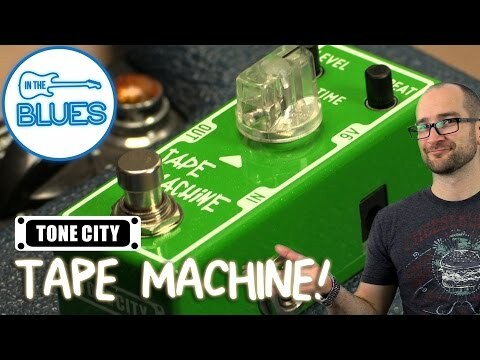 The Tone City Tape Machine analog delay features some of the warmest and nicest analog delay tones I've heard in a while. Not only is this pedal completely noiseless in your signal it's perfect for a range of sounds from Rockabilly, Blues, Country, Rock, and beyond. There are three pots that control the Drive, Volume, and Tone as well as a "fat/thick" switch which instantly adds more or less body to the sound.